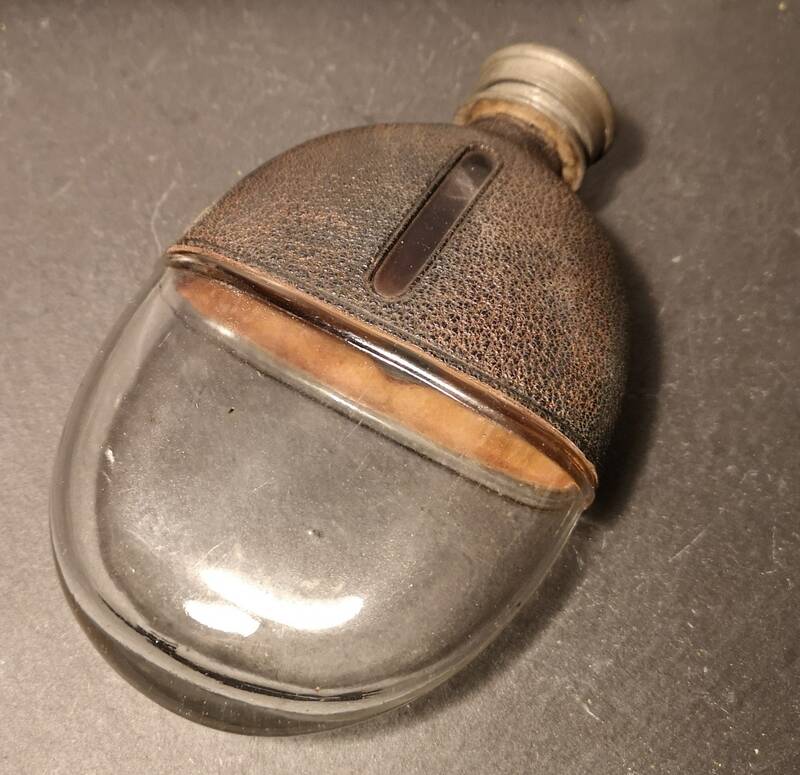 A lovely rustic late Victorian hip flask. 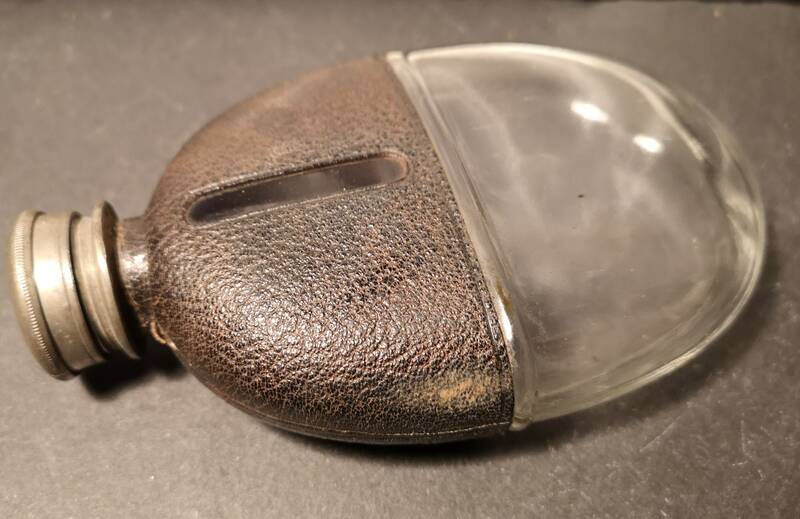 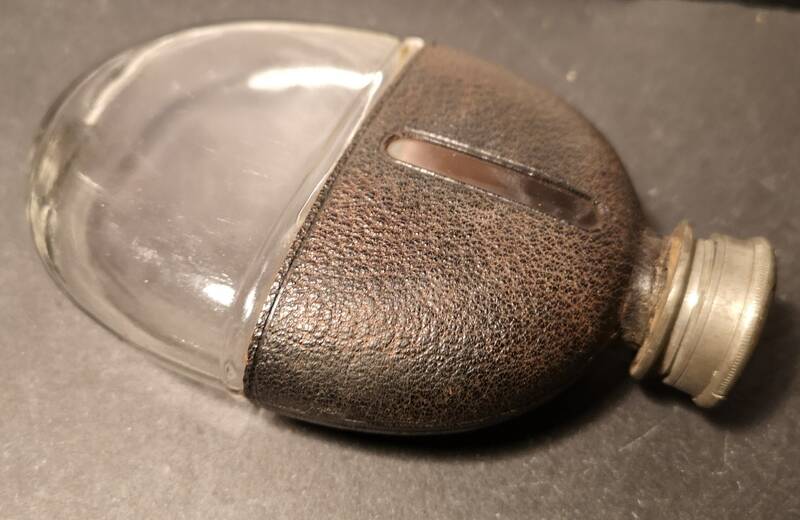 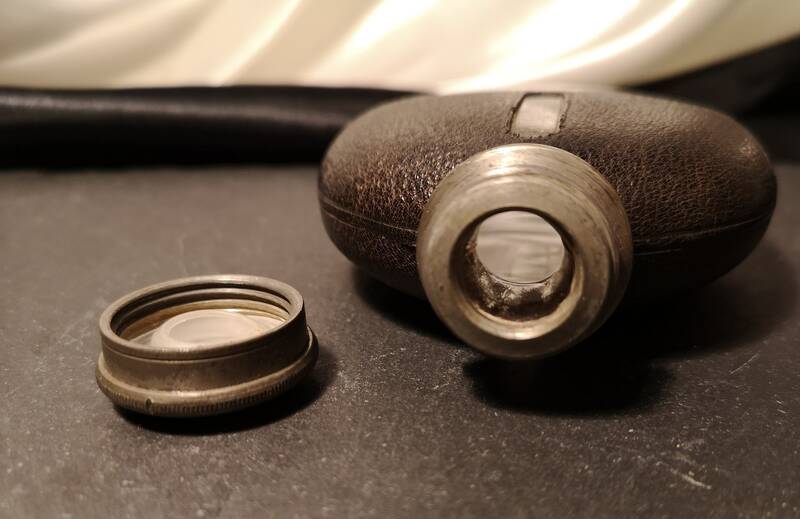 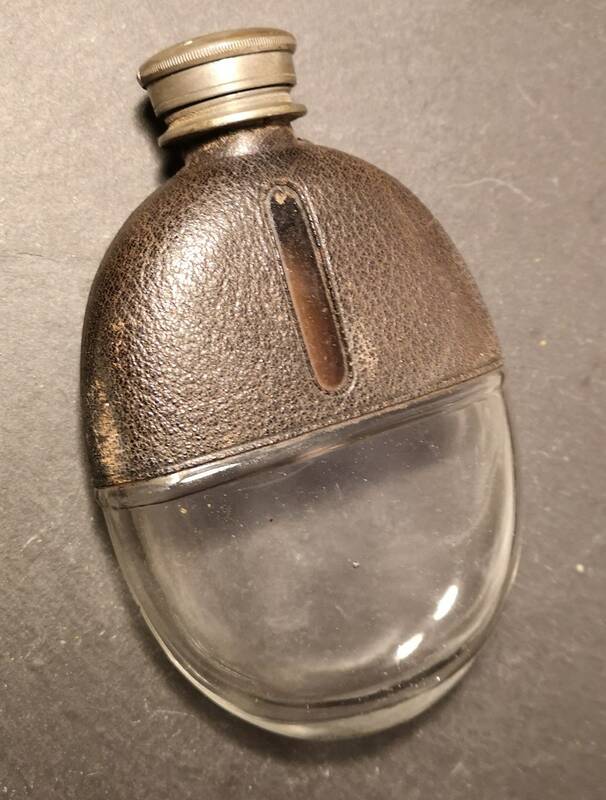 It is a rounded / oval flask designed to be carried around not stood. 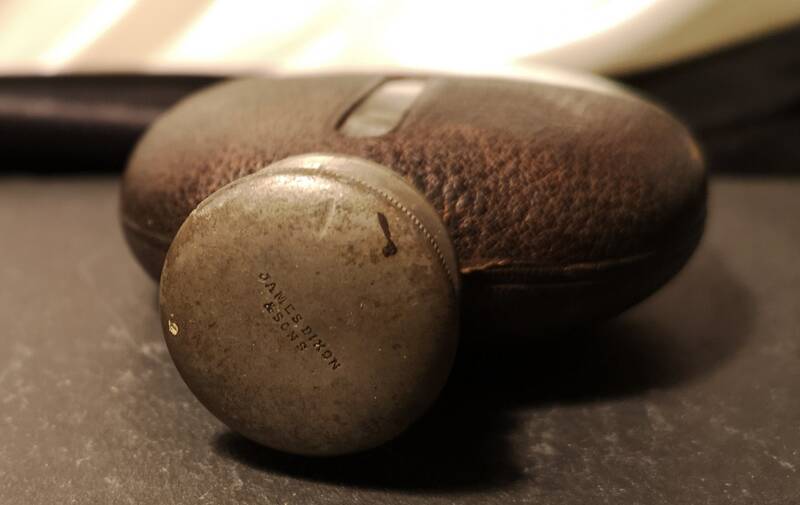 Often used for riding, hunting and journeys. 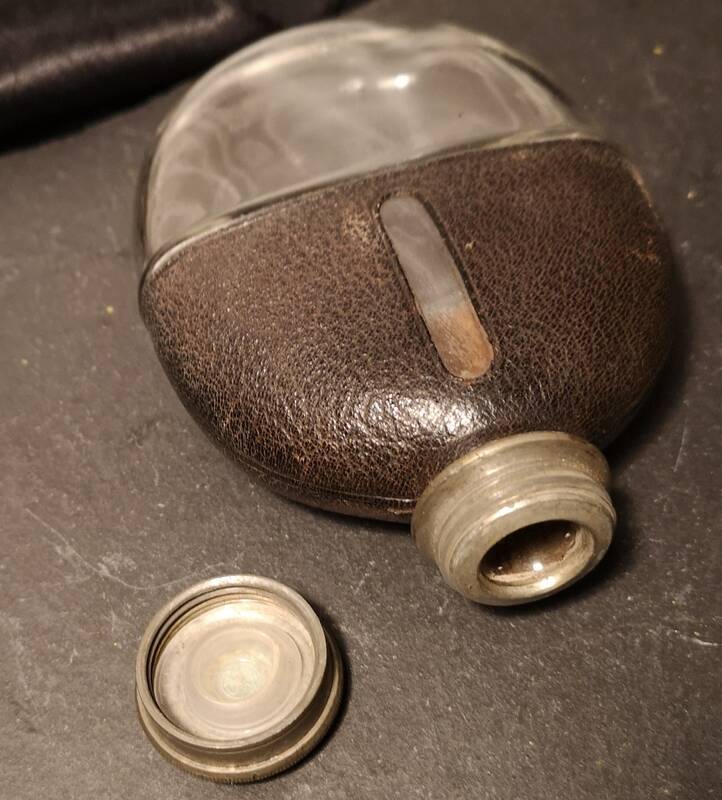 Leather covered top half with keyhole style cut out design, silver plated cap and screw fitting, stamped on the lid with James Dixon. 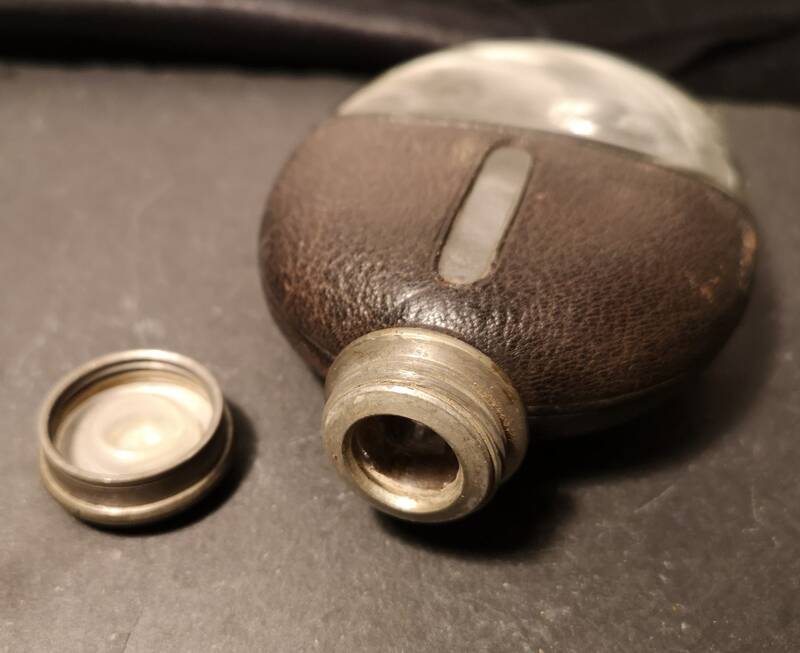 Some signs of wear and ageing commensurate with age, silver plate is dulled.